Once you try hair extensions, it’s hard to live without them. They’re one of the easiest ways to instantly boost your confidence and update your look. Whether you’re considering hair extensions for the first time or you’re looking into other options, you’ll know how many choices there are out there. From clip in and micro-bed hair extensions to sew-in wefts and tape in hair extensions, what is the best option? The majority of people will recommend tape in hair extensions and for good. In terms of semi-permanent hair extensions, tape in extensions are one of the least expensive options. This is mainly because they don’t take longer than an hour to apply and because they don’t require as much maintenance as other types of semi-permanent extensions. 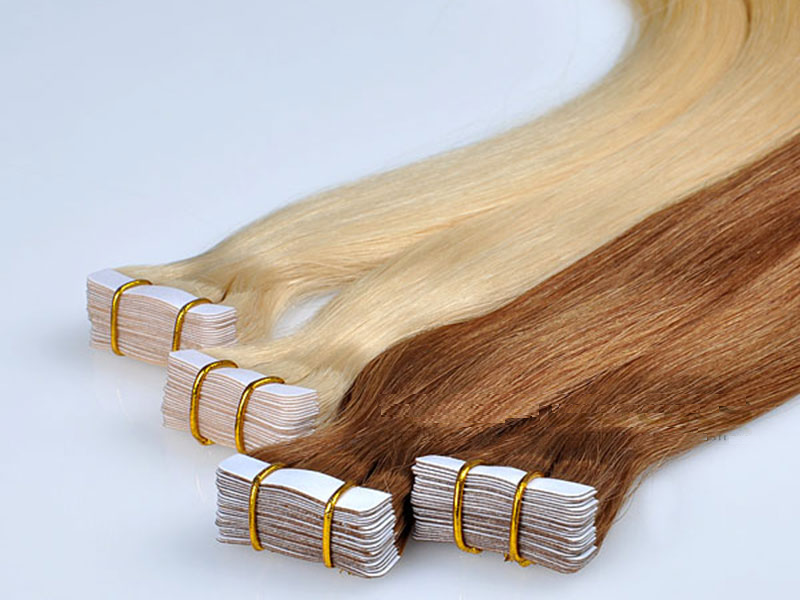 Some tape in hair extensions actually cost the same as a good clip in hair extension. Tape in extensions are some of the easiest to maintain because of their thin construction. So many people actually forget that they’re wearing hair extensions because they’re so easy to maintain. It’s only when you need to move them up after 8 – 10 weeks that you realise you have them in. A common concern amongst women considering hair extensions is that their natural hair will be damaged in the process, but tape in extensions cause the least damage. Unlike clip in hair extensions that tug on your natural hair, tape in extensions are lightweight and comfortable to wear. Actually, the most quality ones like Jadore tape in extensions can be reused for up to a year. After removing the tape, you can clean the extensions, apply new tape and re-apply them. By purchasing high-quality Remy hair extensions, you won’t need to replace the tape as often and your extensions will last you longer too. There’s a reason why so many celebrities use tape in hair extensions – they give you the most natural-looking results. Tape in extensions are thin and completely invisible. They’re also really flexible so you won’t feel them when you wash them or brush over them. It’s also a lot easier to blow dry and style your hair with this type of extension. Provided you’re purchasing high-quality tape in extensions, these are by far one of the better hair extension options on the market. By spending the extra money on extensions that are made with real human hair you will be able to enjoy your new hair for longer and achieve the most natural results. Remy hair extensions also won’t matt, shed and tangle, and can be treated as if they were your own hair. Whether you’re switching or trying extensions for the first time, tape in hair extensions are definitely the superior choice, especially if they’re applied by a professional stylist who has experience with them.